Branded recipe books are an example of offline content marketing with which most people are familiar. Jell-O began releasing recipes in the early 1900s in an attempt to grow awareness of its product. The key here, as will all content marketing, is that the primary purpose is informational. The company is offering knowledge in the form of recipes. Hopefully, you the consumer will see one you find interesting and choose to buy that company’s product with which to make dish. Content marketing cannot involve a hard sell. While content marketing pieces are certainly branded, the focus must always be on offering helpful resources. Some attorneys may find it difficult to dive in to content marketing, in part because the hard sell is so ingrained in traditional attorney advertising, and in part because it smacks of giving away free advice. However, in an increasingly competitive market, sharing some knowledge freely is an important piece of an integrated marketing strategy. Content marketing can come in the form of articles or blog posts, but it does not have to be textual. Visuals are one of the most effective ways to help people understand and retain material. Posts that contain graphics do better across all social media platforms, and infographics are an excellent way to work a lot of data into one creative, sharable package. Good graphics have several things in common: they are educational, well-designed, have an easy to understand theme, and their look and feel is compatible with the organization releasing them. Below are some tips to remember when creating an infographic. 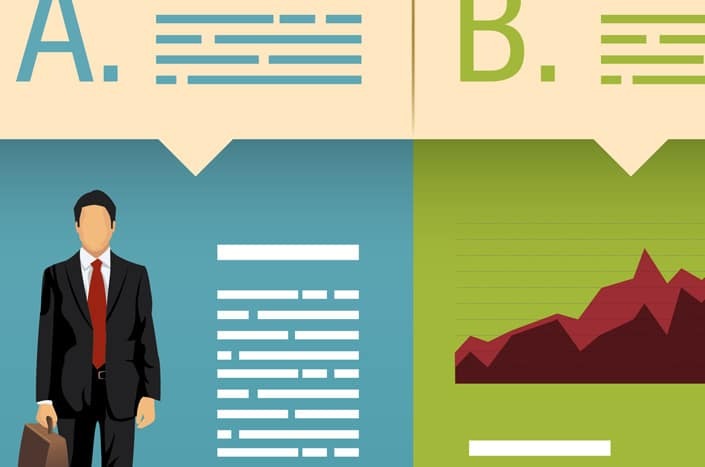 Choose the right type of infographic for the job. Infographics come in many forms: process, chart, graph, comparison and timeline, among others. First, determine the story you want to tell. Then, research the topic thoroughly to find facts that support your story. These facts may lend themselves to a comparison or chart. Or they may need another vehicle. A pie chart or bar graph, for example, would be an inappropriate way to display information about the distribution of bankruptcies throughout a geographic area, but would work well to illustrate the percentage of Americans who file for certain types of bankruptcy. Forget about marketing. Infographics must communicate information. Communication is their prime function. Sharing infographics can provide a positive marketing benefit, but marketing language should not be involved in the creative process. Do not try to jump on the infographic bandwagon by creating graphics with overt sales-speak but no real value. This muddles the main objectives: conveying ideas and fostering understanding of complex subjects. It also works to dismantle trust; consumers tolerate a lot of marketing message saturation, but only in its proper place. When they are looking for informative resources, they expect to see real answers, not sales copy. Keep style consistent. The look and feel of your infographic should match the overall brand you have developed for your firm. If you are a serious firm specializing in high-stakes litigation, you will want to pass on using a retro, kitschy look for an infographic. If your firm has integrated illustrations into its website or ads, use that same style for the illustrations in your infographics. Use good judgment when determining what tone is right for your firm. Simplify. Long, over-complicated infographics can be overwhelming and cause viewers to lose interest. You want people to become engaged and to share. Try to limit yourself to 3-5 main points. Use no more than one or two dominant colors and be sure any secondary colors support the main palette. Do not over-design; visuals must be easy to process. A simple infographic with one strong point is most likely to gain traction.